A copper-alloy Roman nummus of Valens (AD 364-378), dating to the period AD 364-378 (Reece period 19). 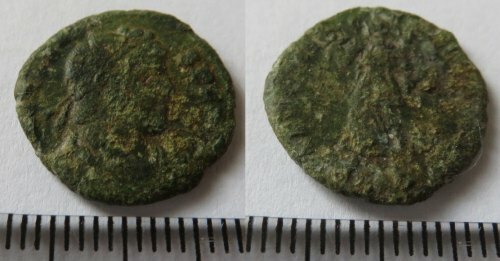 SECVRITAS REI PVBLICAE reverse type depicting Victory advancing left holding wreath and palm. Unclear mint.